Many businesses still function using the IBM As/400 system and would be lost without it. Let us help you keep your system up to date and functional. Are you running an IBM server and asking yourself these questions? Does anyone still know how to work with these things? Will anyone understand my unique business needs? Who will give me the advice I need to smoothly change my server technology over to something new? Who is going to help me manage my business by generating reports from data on my AS/400, I series, or IBM? Is there a way to transition my old AS/400 into a web-based interface? As I'm sure you've guessed, we have the answers. Some of our staff have been working with the AS/400 since it started becoming THE business server standard. They know this product inside and out. And their experience is a boon to you, because–unlike a recent college grad–they aren’t going to smirk, then shake their heads at you. They love the AS/400. They know how to maintain it, and can quickly generate the code to create that custom financial report you’ve always wanted. They can even do it over the Internet, so nobody has to go anywhere. We can maintain your legacy AS/400 systems written in RPG, COBOL, C, or SYNON; we'll keep the stuff that works well and enhance it with new business sales and interface technologies, so there's no need to start from scratch. 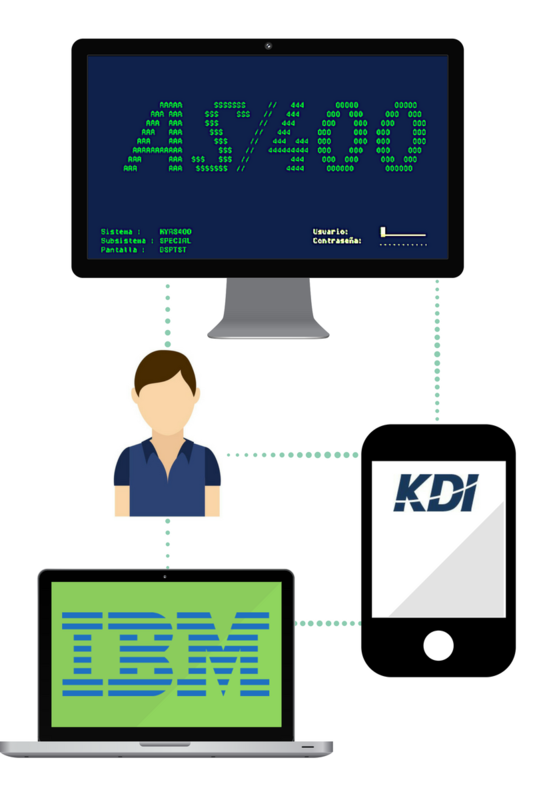 KDI wants to care for your AS/400 server and give you the business tools you need to maximize your use of the data stored on it. We can take existing business applications and enhance them to fit your current needs. We provide offsite data storage to ensure that your information stays safe in the event of natural disasters or attacks. We seamlessly transfer your old AS/400 over to an updated and more reliable version. We provide hosting for legacy systems on our secure servers. Learn how KDI was called for a large-scale AS/400 data recovery, and how we worked around the clock to ensure all the files were recovered! Saving the company from losing years of lost data. A local manufacturing company was on the AS/400 originally, and then switched to Everest. Due to lack of support they wanted to switch back to As/400. Click below to find out how we helped them out! Plan Your Server Upgrade With KDI Now, Before Disaster Strikes. If you are acutely aware that your AS/400 is soon to arrive at the end of its working life, then its time to talk to the experts who know about the product you have, understand business, and have a handle on today’s server technology to determine exactly what you need now and for the future. We can assess your needs and your budget, and work with you to put together the most effective server solution for you.